The ideal complement when creating cultures and planting rows. In this combination frame the training wheels are integrated and continuously adjustable, thus better control is achieved when ridging. 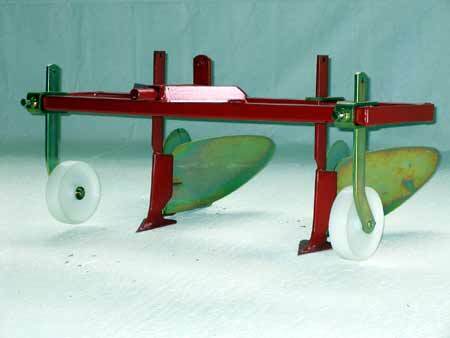 In this combination frame can be clamped "goose feet" and L-shaped blades to care for the row cultivations.